Research has shown that academic and social achievement often serves as protective factors against drug and alcohol abuse. Inversely, those individuals who have low academic or social achievement are at high risk of developing a problem with drugs or alcohol. With committed staff and effective and prevention and recovery programs, the Teen Challenge Learning Centers and vocational training programs are empowering individuals to become self-sufficient, provide for the needs of their families, and to become leaders in their communities, faith groups and occupations. The vocational training, learning center, and GED/high school diploma program is one of several reasons why Teen Challenge has been and continues to be so successful. Teen Challenge provides for those who have not completed their high school education. 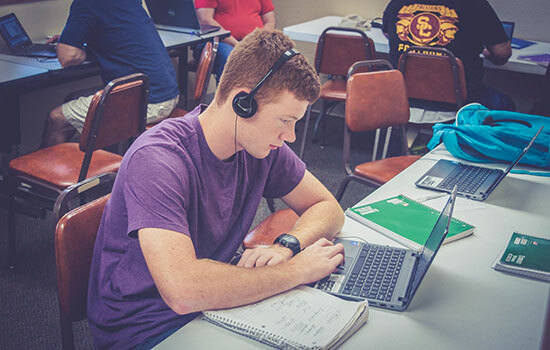 The educational program helps the students earn their GED certificate or high school diploma. Additionally, Teen Challenge has a curriculum specifically designed to teach students more about God and who they are according to God. What style resume should I use? How should I answer questions in a job interview? What should I do to prepare for an interview? This class is designed to help students learn the importance of job planning and preparation in today’s job market. The course takes individuals through the application process and an extensive resume workshop where the student will create their own resume. The workshop also shows the student how to conduct themselves during an interview, as well as how to deal with financial responsibilities of everyday life. The students learn how to clear up their past credit history and learn how to live a lifestyle that is debt-free.